Please open this link http://etd.aau.edu.et/dspace/simple-search? After you type word "speaking" Please click "Go"
Click the title of thesis. 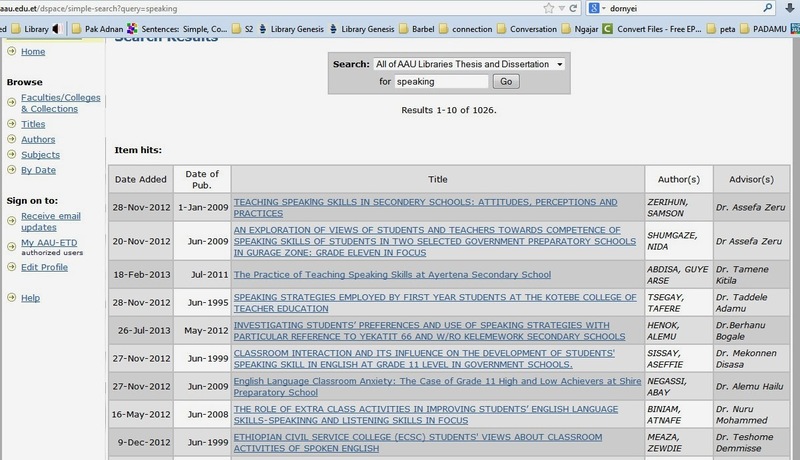 Example you click "Teaching Speaking Skill in Secondary Schools: Attitudes, Perceptions and Practices"